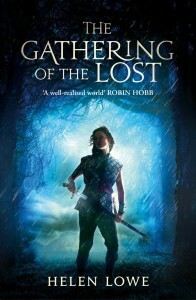 As posted yesterday, the mass market edition of The Gathering Of The Lost will be released in the UK later today—Thursday 21 February, but UK time. That means my celebratory post on the Orbit blog (the site of my UK publisher), won’t be up until much later today. Today’s re-post celebrates my love of epic fantasy, and in particular the style of epic I’ve written in The Gathering Of The Lost. The post first appeared on Hugo Award-winning, genre site, SF Signal, last year. The reason I want to celebrate epic fantasy is fairly straightforward: I love the genre. But although I have talked about this enthusiasm before, I haven’t specifically discussed the style of epic I enjoy reading, which (again, surprise!) is also the kind of story I best like writing. I love big, sweeping, adventurous stories where there’s a lot at stake and what’s at stake matters. I love stories of heroism, and friendships that endure in the face of darkness and despair — but sometimes fail, too. I love sword fights, and glorious charges, and forlorn hopes, and “bands of brothers” holding together through the “thick and thin.” I love magic, too, and if comes with a thread of darkness, danger, and the surreal, then all the better. World building is also really important to me, and not just landscapes but cultures as well: I want the world and the societies to be real for me when I’m reading and that’s what I strive for in my own writing. And I like a bit of romance — not big R romance which has it’s own genre, but what I call “little r” romance, which is integral to all our lives and definitely has its place in big book epic. The Gathering of the Lost may be about magic and danger, roof top pursuits and forced marches by night, tourneys and battles, bands of brothers — and sisters — but it’s also about love. So what else do I want in my epic fantasy? If we equate books with films, then I would have to say that although I enjoy a good special effect as much as the next moviegoer, special effects on their own leave me pretty cold. For me, a good film or a good book is always about the emotional power in the storytelling, and the depth and subtlety of the characters. Do they feel real and believable, do I lose myself in what is happening in their lives — because those are the characters I want to meet in my reading and bring to life through my writing. 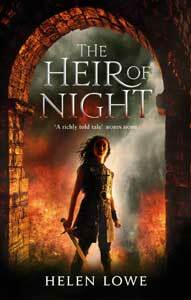 Again for me, much as I love heroism, it’s about writing human characters — like Druss (Legend), who may be a legend, but is definitely feeling his age, or Mara of the Acoma (Daughter of the Empire)who survives, not just because she is smart and more than a little ruthless, but also because she is capable of compassion.